I spent part of the long weekend clearing out old computer files. 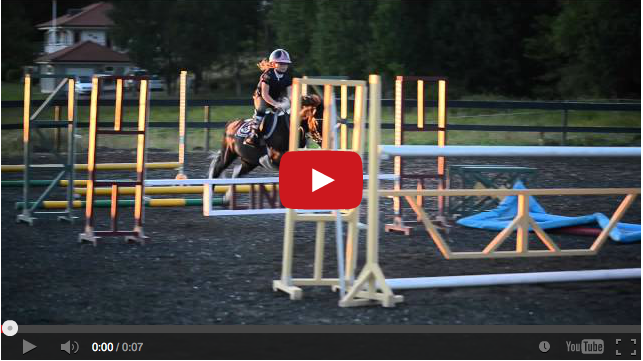 My efforts were rewarded when I discovered the below footage: unreleased video of Solar and I practicing some bridleless riding before the 100-Day Trainer Challenge finale last October. Solar and I performed bridleless as part of our winning Freestyle routine. In the course of one hundred days together, he and I spent a few minutes at the end of about 15 rides working without a bridle–just enough to be confident that Solar could perform the basics safely without headgear! 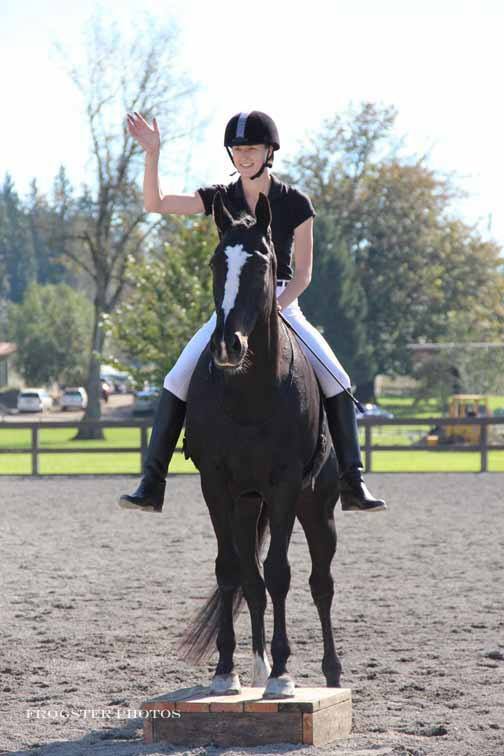 A horse that is mentally tuned in to his or her rider can adapt very quickly to direction without the reins/bit. Time flies faster than California Chrome in the Kentucky Derby, and it’s now been over a year since Solar and I first met. After his big win in October, Solar moved across the country to join his new owner, Mary, in Ohio. Since then, he’s been well-cared for and loved by his new friends and family. I’m happy to report that he’s even been to his first dressage show! Solar continues to be a fantastic ambassador for off-the-track-Thoroughbreds. 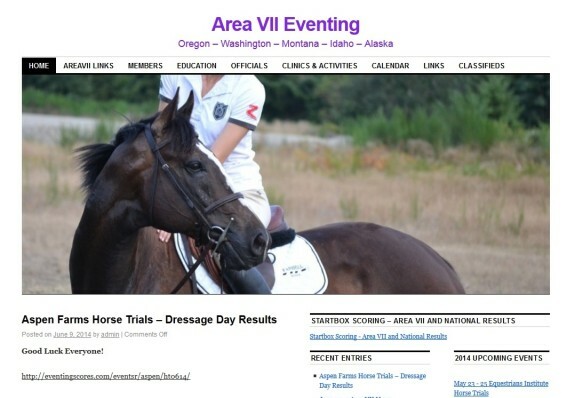 Solar was featured on the cover of USEA Area VII’s website last month. Thanks again to everyone who was a part of Solar’s success. Don’t forget to cheer for the horses and trainers participating in this year’s 100-Day Trainer Challenge and to find other ways to support OTTBs in your community. 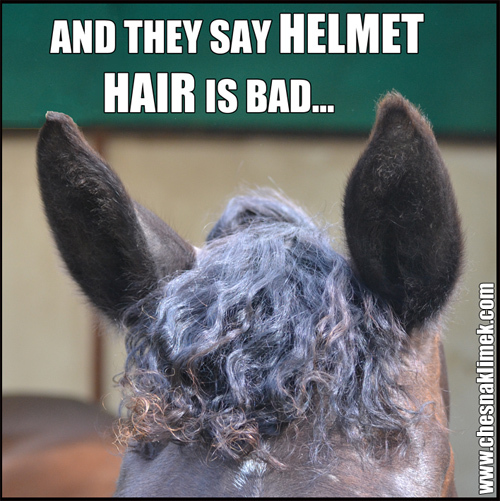 Go OTTBs!